VIVO! 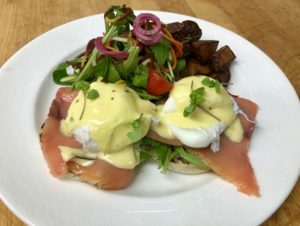 Mediterranean Grill & Catering, a restaurant featuring a seasonal, locally inspired menu that offers a delicious selection of wild caught fish, prime aged meats, free-range chicken and daily made pastas. Our Chef & Culinary Team believe in using only the highest quality ingredients that will never compromise the integrity of the dish. 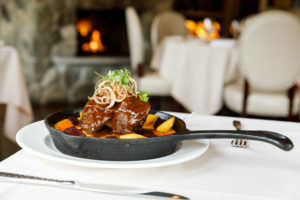 The restaurant’s hip, upscale vibe resonates with old world authenticity. Once the mansion home to glamorous Rudolph Valentino, the setting is both elegant and stylish, offering sun filled, traditional Ballrooms, a decidedly urban vibe in the Dining Room, hand crafted cocktails at the Bar and Lounge, and al fresco dining on the Patio adjacent to manicured gardens and gazebo. Celebrating a special occasion? Have VIVO! host your next private event. From a small intimate group to a lavish banquet; the private ballrooms can accommodate 2 to 250 guests. For the momentous life’s milestones such as Weddings, Sweet 16’s, Bridal Showers, Bar and Bat Mitzvahs, our talented catering managers can help pick the perfect theme and setting for such an unforgettable event. VIVO! is also the perfect location for fundraisers and galas, fashion shows, charity events, and dinner dances. 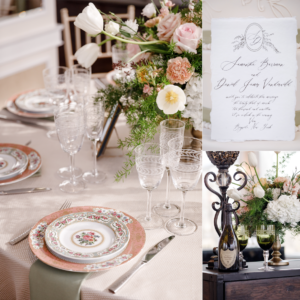 Our seasoned staff can arrange for a beautiful atmosphere and theme for the cause, and make it an event to remember. Your guests will be awed by the most unique views of the Throgs Neck Bridge and the picturesque rolling hills of Clearview’s Golf Course. These beautiful views are only visible from VIVO!’s exclusive private dining room. Our catered affairs have the same attention to detail and quality of ingredients as our restaurant. 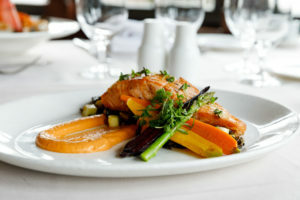 The menu selection reflects the same sumptuous tastes and delicacies as our restaurant. 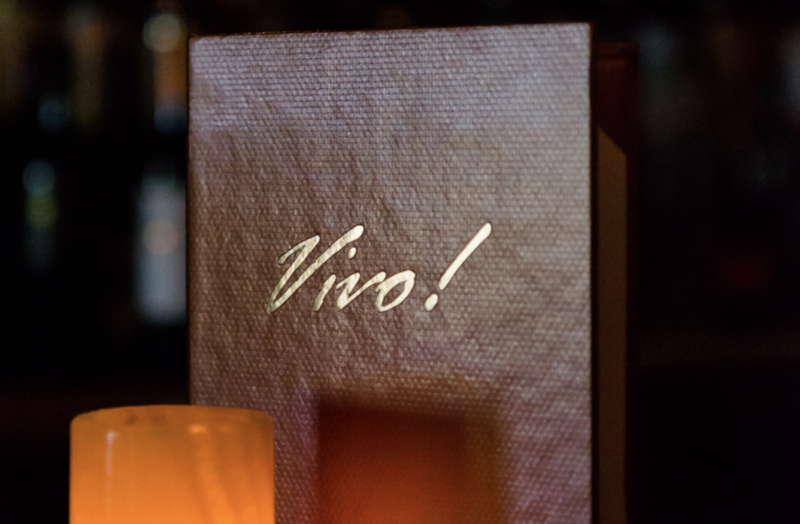 You and your guests will experience an unparalleled evening of elegance and perfection that is VIVO!. Paul Von Wieding, Chef of VIVO! Mediterranean Grill & Catering joined our establishment in February 2019. Paul holds an Associate Degree in Culinary Arts from the esteemed Culinary Institute of America in Hyde Park, New York. He also earned a Bachelors Degree in Business Administration prior to Culinary School. After graduating in 2014, Paul has earned valuable experience in the culinary field by working in restaurants of different cuisines. His experience is most notably recognized by his tenure in Trattoria L’Incontro, and Maiella under Chef Rocco Sacramone and Mp Taverna under Chef Michael Psilakis. 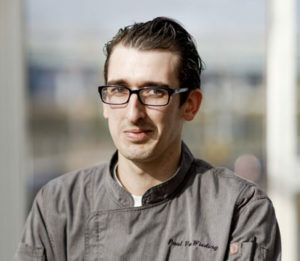 Paul brings more to your table than his experience, his commitment and focus on quality and consistency is unparalleled. 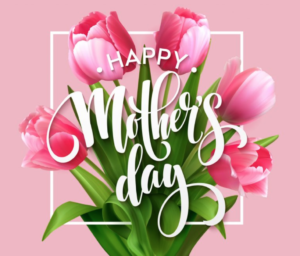 We are devoted to making each visit to VIVO! a true dining experience. Over the next few months you will be seeing many changes to help achieve this. We encourage you to revisit our website for updated menus, photos and what is in store for things to come. If you have additional catering needs, please visits our friends at Masterpiece Caterers. Many additional locations and menu options are available.